"...The production has a tendency to fall into monotonous rhythms and�would have benefited from the shaping hand of a director. (None is listed in the program, suggesting Asner was forced to edit himself.) And the script includes one too many press conferences and bureaucratic telephone calls (�Hello, ah Cordell! What�s the latest word on the claims against the Canadian distillers?�)." "...Asner's ability to remember the plethora of names and incidents in Roosevelt's story is impressive, especially as they are delivered at a brisk pace. Even so, the actor is better than his material and is less than effective as�the squire of Hyde Park." "...Yes, FDR satisfies because it doesn�t pretend to be anything more than what it is: one of America�s best-loved Presidents reflecting on his days in office, from governorship through WWII, by a powerful actor in a beautiful theatre. This is not to suggest that FDR will rock your world, but it certainly is intriguing, and you will be pleased." 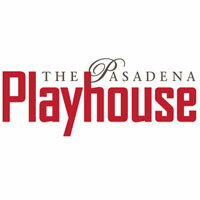 "...The Pasadena Playhouse has reopened only nine months after the sad announcement that it was closing its doors for good, news worth celebrating in the streets with fireworks to light up the sky.� If only FDR, the production chosen to welcome back Playhouse subscribers and friends, were equally deserving of a celebration." "...Ed Asner is a lovable versatile and talented actor who has excelled in comedy as well as drama over many years and has garnered him numerous awards. But in his portrayal of Franklin Delano Roosevelt in FDR, I could not visualize him as our thirty-second President of the United States. Though his performance of the man, who had been struck down with polio was strong, Asner just did not seem to take on the persona of Roosevelt; I was simply watching a dramatic piece being performed by a talented actor. The play, an adaptation of Dore Schary's 1958 Broadway drama Sunrise at Campobello, offers little in the way of vim and vigor which makes it difficult to stay focused on the dialogue." "...Though his performance of the man, who had been struck down with polio was strong, Asner just did not seem to take on the persona of Roosevelt; I was simply watching a dramatic piece being performed by a talented actor. The play, an adaptation of Dore Schary�s 1958 Broadway drama Sunrise at Campobello, offers little in the way of vim and vigor which makes it difficult to stay focused on the dialogue."